Brandon Duplessis, 29, of 2108 Centanni Drive in St. Bernard, was arrested April 6 and charged with taking contraband to penal institution prohibited, contributing to the delinquency of juveniles, operating vehicle with suspended driver’s license, possession of marijuana – third and subsequent offense, expired or cancelled license plate and switched plate. He was a fugitive with an attachment. Kevin Cortez, 29, of 131 Bayou Estates Drive in Des Allemands, was arrested April 2 and charged with domestic abuse battery involving strangulation. Damion Campbell, 22, of 902 Paul Maillard Road in Luling, was arrested April 3 and charged with possession of marijuana. He had an attachment. Ronchel Moore, 32, of 8880 Houma Drive in LaPlace, was arrested April 3 and charged with use of multiple beam road lighting, operating vehicle under suspended license and possession of oxycodone. He had an attachment (four counts). George Hunter, 36, of 145 JB Green St. in Des Allemands, was arrested April 2 and charged with possession of Schedule I, possession of drug paraphernalia, possession with intent to distribute methamphetamine, possession with intent to distribute counterfeit CDS classified in Schedule II, resisting an officer and possession of stolen things. He was a fugitive (10 counts). Ronnie Faircloth, 44, of 121 Lakewood Drive in Luling, was arrested April 2 and charged with possession of a firearm by a convicted felon, illegal carrying of weapon in presence of CDS, possession of drug paraphernalia, possession of marijuana, possession of methamphetamine and possession of Schedule IV. 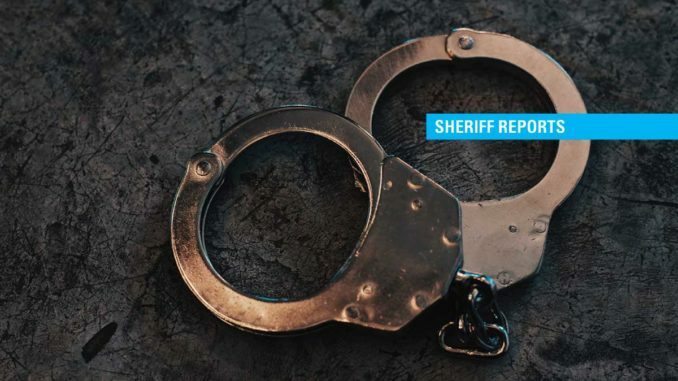 Kimberly Villa, 18, of 69 Bonura Drive in St. Rose, was arrested April 1 and charged with possession of controlled dangerous substance in presence of someone under 17 years of age (two counts), possession of drug paraphernalia and possession of marijuana. She had an attachment. An East Club Drive residence in St. Rose was burglarized on April 1. Money and a gaming system were stolen. A victim paid an individual to perform miscellaneous home improvements at their St. Nicholas Drive residence in Luling. The victim noticed money and tools missing from the residence and the incident is under investigation.